Thermal scopes have been around for many years primarily being used by the military and law enforcement. As technology advanced, the costs of producing thermal scopes have come down and they quickly became popular among hunters. Night hunting no longer depends on use of night vision devices which are not as effective at spotting animals in complete darkness. High powered spotting lights that spook their intended targets have become a thing of the past as well. If you have been looking to buy a thermal imaging scope, you probably already know that they can get very expensive. There are tons of features that are available from different manufacturers and the options for optics and sensors could be overwhelming. New technologies like more compact sensors have allowed for reductions in prices on various models and longer battery life. Will you be hunting at short or long distance? Do you need a high refresh rate? Do you want a recording feature? How Is It Different From Night Vision? What Is the Best Thermal Scope For AR 15? When you are shopping with a budget in mind, you have to decide what features are most important to you and your needs. Will you be hunting small animals like coyotes or foxes? Do you need to stay far away from your target? Would you like to be able to record and share your hunting adventures with your friends? Below we go in depth on these and other important questions so that you can find the best thermal scope for the money. While thermal scopes are more expensive than digital night vision scopes, you can get a quality thermal scope for less than $2,000 depending upon the optics, thermal resolution, and the features you need/want. A higher end thermal scope with high thermal resolution, long range optics, and the latest features will set you back between $3,500 and $4,500. While a premium thermal scope like the Trijicon IR Hunter MK3 will set you back over $7,000 - however it is a phenomenal scope. 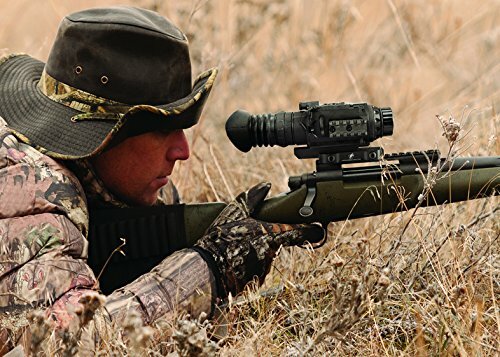 Many hunters will use a thermal monocular for scanning/locating their target and then switch to their rifle for taking the shot. While there is an endless debate on whether you need two thermal imagers for successful hunting most of it will come down to personal preference and budget. Constantly using your rifle to scan your surroundings can become tiresome due to the weight of the rifle not to mention dangerous in certain circumstances. Also, your thermal scope is almost always going to have a narrower field of view than a dedicated thermal monocular which means it will be easier to miss targets when scanning with your scope that you would have seen with a monocular. The counter argument to this is that when you have to switch from your monocular to your scope you may startle the animal and not be able to take any shot. Also, when you are using a spotting monocular AND a thermal scope you have to carry more equipment with you and hence more weight. You will also need to consider the terrain you will be hunting in and the distances you will typically be shooting targets at. If you will be hunting in more open and flat terrain and not shooting far distances a thermal scope may be all you need. In heavily wooded terrain and/or places where you will be taking longer shots have a monocular and scope can be a big help. Finally, you will need a larger budget if you are going to invest in a thermal scope and separate thermal monocular for spotting. If your total budget is going to be $2,500 or less it will probably make sense for you to invest in the best scope you can get as you really won't be able to get a quality scope and monocular for that price. If you have a $3,500 budget or more you may be able to buy both although we would suggest putting more into the scope as you will be using the monocular only for spotting. If you have $5,000 or more then you should look into potentially purchasing both a thermal scope and monocular. Does it matter what the thermal sensor resolution is in my thermal rifle scope? Yes! It matters a lot; just as with a regular visible light camera higher resolution produces clearer images that you can enlarge without the picture getting blurry. Some of the common thermal resolutions for scopes are in order of quality 640x512, 640x480, 384x288, 336x256, 320x256, 320x240, and 240x180. As expected the higher the resolution the more expensive the thermal scope. Sensor resolution should be one of the areas that you spend the most time deciding on as a poor choice here will make your investment in your thermal rifle scope worthless. You should go for the highest thermal resolution sensor that you can afford even if that means forgoing some of the other features you want especially if you plan on shooting at longer ranges. A thermal rifle scope with poor resolution will drastically limit what targets and game you can shoot at. If you know that you will be shooting short distances and will not have other animals or people around that could get caught in the crossfire then a lower resolution thermal rifle scope will be adequate. If you are planning on shooting long distances, and need to clearly identify your game and use digital zoom frequently, a high resolution sensor will be a better choice. The thermal rifle scope shows you the target by detecting the different temperatures of the radiation/heat that your target is emitting. A thermal scope with powerful optics will allow you to positively identify the target at 1,000 yards while an entry level scope can limit you to 200 yards or less. 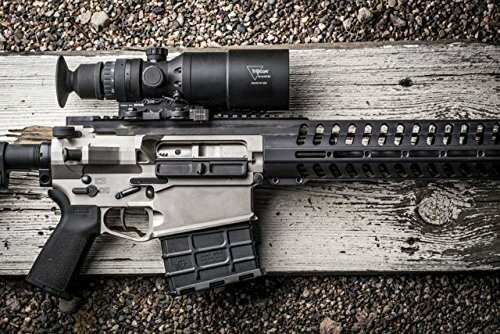 You will want to make sure that you know what distances you will typically be shooting at before making your decision on what type of optics to buy. When choosing a thermal rifle scope, you will find that there are many lens options available. High power quality lenses are expensive and heavy so you need to choose wisely. There are usually three numbers indicated on scopes: variable optical/digital zoom (2-16x, 8-32x, etc) and focal length (19mm, 35mm, 60mm, etc.). The first number is your adjustable optical zoom. You must pay attention to the second number as it will tell you angle of view and magnification. The longer the focal length - the higher the magnification but the narrower the angle of view. Typically, longer focal length also means a heavier lens and a more expensive scope. You can save money if most of your hunting is done at short distances. Hunting for larger animals that aren't afraid to come closer to you will work just fine with lighter optics. Most thermal rifle scopes include digital zoom or e-zoom, ranging from 2x to 8x. 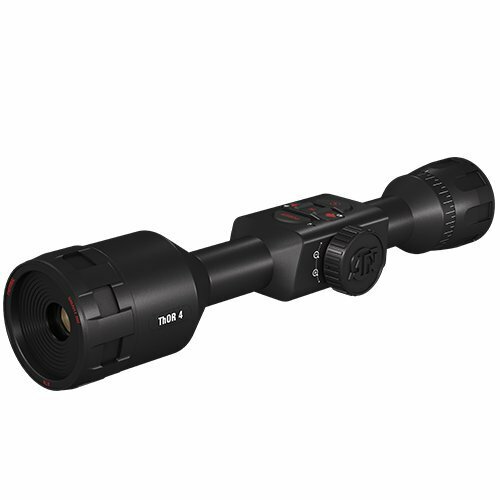 It is important to note that you will also want a higher thermal resolution scope when hunting at long distances because they will provide sharper images when you use the digital zoom. Just as your TV or monitor produces smoother pictures with a higher refresh rate (broadcast TV is typically 25 frames per second) thermal rifle-scopes with a higher refresh rate produce a smoother image as you track your target. As an example a 9Hz refresh rate means that the camera will refresh the image 9 times per second; while a camera with a 60Hz refresh rate sensor will refresh at 60 times per second. Typically, the higher the refresh rate the higher the cost of the scope. Many scopes will also allow you to control the refresh rate which can drastically impact the battery life. Higher end thermal rifle scopes allow you to switch between 30Hz refresh rates and 60Hz; the higher refresh rates will drain the battery faster but give you a much smoother image which is needed when tracking moving targets. The area where you will notice the refresh rate most is if you are shooting while moving and shooting at fast moving subjects. For instance, if you are sitting in the back of a truck and targeting running boars a low refresh rate rifle scope will likely not be enough as the image will lag and you will have difficulty hitting your target. The same scenario with a 30Hz or 60Hz refresh rate will be much better. If you will be shooting at fast moving targets and/or moving as you shoot, you will want a thermal scope with at least a 30Hz refresh rate and preferably 50Hz or 60Hz as it will be much smoother. On the other hand, if you will be stationary and shooting at slower moving targets then you can save money and purchase a thermal scope with a lower refresh rate. Nobody wants to worry about the battery dying in a couple of hours during a hunt, so it is important to look at the average operational battery life as well as the type of batteries that a scope uses. As technology and the features included in thermal scopes have continued to increase with WiFi modules, faster processors, video recording, and higher refresh rates so have their power demands. We recommend using rechargeable batteries in your scope if it does not come with a rechargeable battery. Although rechargeable batteries are more expensive up front in the long run they will save you money. The ATN ThOR 4 uses a rechargeable battery pack that is charged via the included USB-C cable. One charge will give you over 18 hours of use. You can also purchase an external battery pack (as you can for many thermal scopes) so that you can ensure your scope never dies not matter how long your hunt is. Pulsar Trail XQ thermal scope is powered by a rechargeable 5.2A-h battery power that delivers up to 8 hours of continues use. FLIR PTS233 uses a pair of CR123A batteries while FLIR RS32 and the rest of the FLIR RS line uses built in rechargeable battery. The latest thermal rifle scopes have the ability to record what you are seeing through the scope making it easy to capture the best moments of your hunting. The ATN ThOR 4 has a slot for Micro SD cards (up to 64Gb capacity), making it easy to share and transfer images and videos to your PC. The Pulsar Trail line of scopes has their Stream Vision technology that allows you to stream the video from your scope to your smart phone or tablet allowing others to watch along with you. If you are a techie, you will appreciate ATN's RAV option - Recoil Activated Video which starts recording as soon as you shoot allowing everything to be caught on camera. All of ATN's ThOR line have this option. FLIR's PTS 233 also has this feature. 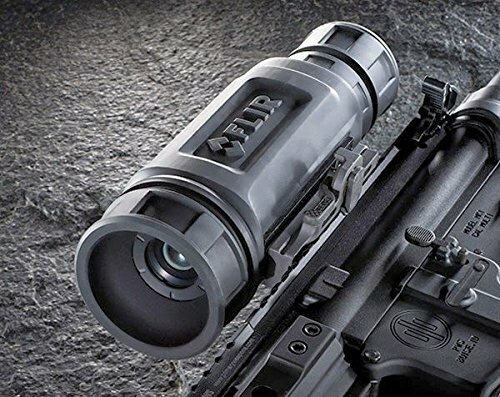 The Trijicon IR Hunter Mk III is one of the highest quality thermal imaging scopes on the market today along with a premium price tag. Some of the most notable features are the 60Hz refresh rate (can also be dialed back to 30Hz to save battery life) 640x480 thermal sensor and 12 micron thermal core. Many thermal scopes are still 17 or 21 microns. The smaller micron thermal cores allow for better magnification with the same size lens. This results in clearer crisper images that allow you to detect targets at further ranges. The Trijicon Mk III comes with a long range 12 degree field of view optic with 2.5x magnification. The Mk III also has multiple reticle save options so that you can quickly and easier swap rifles without the long process of sighting in the scope with each weapon change. Battery life is okay at 3.5 hours at 60Hz and 5 hours at 30Hz. The image quality of the Mk III has to be seen to be believed. If cost is not an issue you cannot find a better thermal scope on the market today. The FLIR Theromosight Pro PTS 233 is FLIR's latest thermal rifle scope boasting the newest Boson 320x256 12 micron thermal core similar to the Trijicon's. What does all that mean? The new Boson core has a 12 micron pitch versus the regular 17 micron pitch found in most other thermal scopes. The new thermal sensor is more power efficient and more compact allowing the use of smaller optics while getting the same crystal clear HD image. The PTS 233 has a 19mm lens and delivers a 12 x 9.5 field of view. The PTS 233 also has on board video recording and image capture allowing you to store over 2 hours of video or 1,000 images. the video signal is also uncompressed for maximum resolution when displayed on TV's. The PTS 233 uses two CR123A batteries with a battery life of 4 hours. While we would like a longer battery life, given the small size and super clear images we give it a pass. We love the PTS 233 because of its small size, excellent image quality and inexpensive price relative to the options and construction quality. Pulsar is a leader in the thermal scope industry and its Trail XQ50 model is our choice for best thermal scope for long range shooting and hunting. 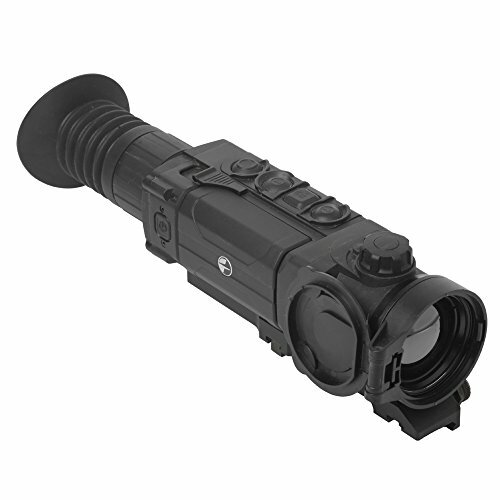 The Pulsar XQ50 has a 384x288 thermal sensor and a 2.7 x 10.8 zoom allowing detection at up to 1800 meters. The Pulsar Trail XQ50 comes with integrated WiFi and the ability to stream video directly to your smart phone which Pulsar has named Stream Vision. The videos and images are stored in the 8 Gb internal memory. The Pulsar's refresh rate is also very good at 50Hz so it can be used for fast moving targets or game. A range finder is included in the XQ50 making longer shots easier. If you need a wider field of view the Pulsar XQ38 may suite you more than the XQ50. The XQ50 comes with an integrated rechargeable battery pack good for 8 hours and an external battery pack can be bought as well for longer hunts. The enhanced optics provide for long range shots and the XQ50 has almost all the features of the most modern thermal scopes making it a great deal for the money. The ATN Thor 4 384 has been designed and manufactured by ATN (American Technology Network) and is their newest 4th generation model taking the place of the ThOR HD. 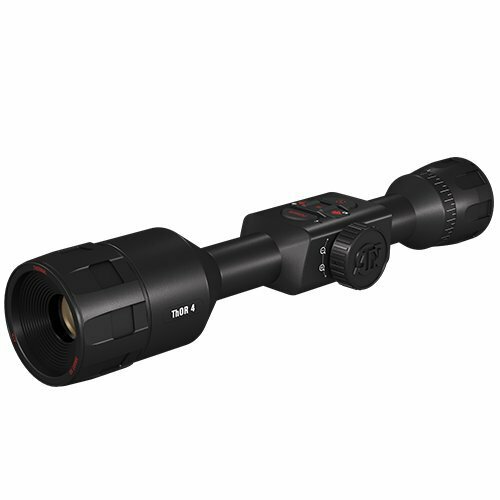 The ThOR 4 has several different versions with different optics perfect for everyone from entry-level thermal scope purchasers to hunting and sporting enthusiasts. ATN also has a 640 version of the ThOR 4 releasing soon for those that want even higher thermal resolution. The ThOR 4 is equipped with a 384 x 288 thermal sensor and is powered by their new Obsidian Dual Core IV processor. The new processor along with the enhanced optics provide crystal clear images. The upgraded optics now allow detection range out to 960 meters, recognition range of 480 meters and identification to 300 meters. Another upgrade of the ThOR 4 is the 60Hz refresh rate (up from 30Hz) which means no blurring even when tracking fast moving targets. Finally, the biggest upgrade, which will appeal to shooters who often go in groups, is dual streaming. This allows you to shoot, record and stream video via Bluetooth or WiFi at the same time allowing people to watch your hunt in real time with the ATN Obsidian app. Battery life has also been improved to over 18 hours of continuous use. The ThOR 4 comes with all of ATN's normal features such as ballistic calculator, smart range finder, (calculating wind speed and direction) geotagging, e-barometer, e-compass and gyroscope. Don't worry ATN's Recoil Activated Video (RAV) is included as well and will start recording as soon as you pull the trigger and the video will be saved to the Micro SD card. The ThOR 4 line is a definite upgrade from the ThOR HD and with all the included features and selection of optics to chose from gets our pick for best smart thermal scope. The FLIR ThermoSight RS32 comes from the pioneer of the thermal imaging technology – FLIR. The ThermoSight R-series has a range of thermal scopes available ranging from the FLIR RS24 that has 240x180 resolution sensor, mid-range RS32 with 320x240 sensor and the premium FLIR RS64. You might be wondering why we aren't recommending the RS64. While the RS64 has a higher thermal resolution it's refresh rate is only 30Hz and the RS32's is 60Hz. 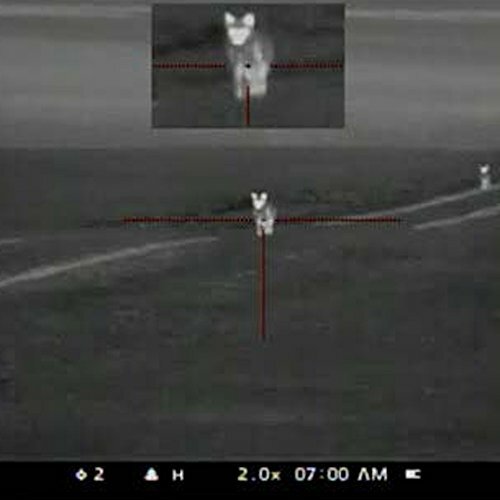 Coyotes are fast moving targets and the fastest refresh rate is vitally important to your hunt. The RS32 is available with a 19mm lens as well as the 35mm lens and 60mm lens. We recommend the 35mm lens for Coyote hunting but everyone has their own personal preference. While the RS32 does not come with video recoil activated recording or some of the other features of the ThOR 4 it is a great choice if your looking to purchase a high quality thermal scope built by a reputable manufacturer specially for coyote hunting. 6 color pallets are available on the RS32 (including Flir’s exclusive InstAler, which shows hottest objects in red), 3 reticle styles and 4 color options. The image is displayed on the 640x480 display with the 3-inch eye relief. FLIR's dependability and reliability is enhanced with internal shock reduction system (SRS-M), IPX7 water resistance body and a 3-year warranty on the scope and 10-year warranty on the internal sensor. The menu is accessible via top placed glove-friendly buttons. Power comes from a single CR123A battery that provides up to 4 hours of operational time. Because of the short battery life we would recommend buying an external battery pack if your are usually out for a long time. If you want a top-notch thermal rifle scope, FLIR RS32 is one of the best options on the market today! Very simply a thermal scope (or any other type of thermal imager) detects infrared radiation that is emitted by all things living and nonliving and produces an image colorized according to the temperature of the radiation the objects are emitting. This means that thermal scopes/thermal imagers can work in almost all weather conditions and do not need any visible light in order to produce high-quality images for object detection. How can everything emit light/energy even non-living things? Biological objects (people, animals) and machines emit heat energy which is detected. Additionally, rocks, trees and other objects soak up thermal energy from the sun during the day and emit this energy during the night as the cycle continues. So how is an image generated if all objects just emit heat? All materials emit heat differently so while you can touch a rock in the sun and feel that is it hot there are actually many different temperatures being emitted that we cannot distinguish which is where thermal imaging comes in. A thermal image is generated not by the temperature of the object but by the difference in temperatures that the object is emitting. Thermal imagers are very sensitive and can detect even a 0.01C temperature difference. Thermal imagers are also not affected by objects with the same or similar contrast. Night Vision will have a hard time showing objects that are of the same or similar contrast because they rely on reflected light and cannot differentiate between objects temperatures. Aren’t night vision and thermal imaging the same? No, although they both help you see in conditions adverse to normal human vision they are completely different with different strengths, weaknesses, and applications. Lets first look at the biggest difference between night vision and thermal imaging. Night vision works just like your eyes do in that they detect light that is reflected off of objects. Night vision allows you to see in low light conditions because it amplifies the available light thousands of times more than your eyes can making night time seem like daylight. However, if there is no light even night vision will not generate an image, unlike thermal imaging. A thermal scope uses a microbolometer (an uncooled thermal sensor) to detect infrared radiation with specific wavelengths that all objects emit. One of the biggest reasons that thermal imagers work so well no matter the light or weather conditions is because infrared radiation/light is emitted by all objects, unlike visible light that is reflected by all objects. The infrared radiation being emitted is detected by the microbolometer and translated into an image colorized by the different temperatures of radiation being emitted. What Are Thermal Imagining’s Strengths? What Are Thermal Imaging's Weaknesses? A Microbolometer (say that three times fast) is an uncooled thermal sensor that is made up of hundreds or thousands of individual pixels with each pixel having several layers. The top layer is the infrared absorbing material, followed by a gold contact, an electrode, and a reflector to ensure light that passes through the top layer is reflected back up to produce the best possible image. Finally, the bottom layer of the pixel is a readout circuit helping to generate the image. To ensure the infrared absorbing material is separated from the other layers of the pixel a gap is created between the IR material and the reflector using a substance that can be chemically etched away when the rest of the process is completed. The finished pixel resembles a bridge with the IR detector being the bridge, the reflector being the water under the bridge and readout/image circuit the ground underneath the water. As technology has continued to advance the image quality produced by microbolometers has continued to increase while the cost has also come down making thermal imaging available to many more people. Microbolometers are commonly available in 320x240 and 160x120 while lower resolution ones are cheaper they do not produce as high a quality image. For hunting, we recommend choosing at least a 320+ pixel thermal sensor ideally 640x480 especially if you will be shooting targets at distance. This sounds expensive! Thermal scopes are more expensive than regular scopes however with the advent of the uncooled microbolometer as detection units as discussed above the costs have come way down. A cooled thermal imaging scope cost many times as much as today's thermal scopes and suffered from being very large, hard to operate and required a long amount of “cool down time” to be usable. The aiming reticle helps provide accurate targeting making your hunt more successful. Modern thermal rifle scopes have digitally controlled reticle patterns as well as reticle colors options. You might find, a Cross, Crosshair, Cross-Center Dot, Line dot, etc. Depending on conditions where you hunt and your target, you can adjust the reticle to give you optimal targeting. Reticle color options can also be important especially if you thermal rifle scope has various color patterns. 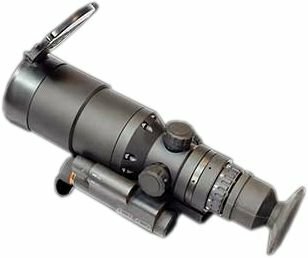 Armasight Zeus provides electronic zoom reticle tracking. ATN ThOR HD on-screen reticle will guide you to optimal point of impact. Thermal rifle scopes on today's market gained some nice connectivity features like built-in Wifi, bluetooth, video output, MicroSD card slot as well as video outputs. You should look at these functions as nice add-ons but not the primary factor buying a thermal rifle scope. Your thermal rifle scope is as good as the sensor and optics. ATN ThOR running the latest Obsidian core is packed with features like built-in Wifi, bluetooth and card slot for MicroSD. If you are someone who would like to have the latest software and apps, the ATN Obsidian app allows you to control your device and view live streaming on a mobile phone. It is fun and interactive. You can also view recorded videos on the app if your thermal scope is connected via Wifi to your phone. The AR 15 platform is very versatile and there is a reason it is one of the most popular platforms around today. Getting the best thermal scope for your AR 15 can take some time because everyone is going to have different needs and desires when it comes to what they want to do with their AR. If your looking for an entry level thermal scope and don't want to spend a lot of money FLIR's PTS223 with its new 12 micron Boson core is a great choice providing sharp images and not breaking the bank. 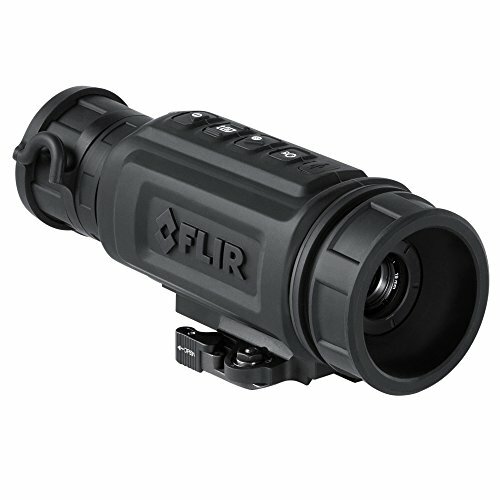 Those of you who prefer more powerful optics will probably favor FLIR's RS32 with its high refresh rate and rugged construction. If money is no object and you want the best thermal imaging scope with the latest technology then Trijicon's Mk III is your best bet; its 12 micron core and crystal clear images will ensure you don't miss anything on your next outing. Some thermal rifle scopes have a "clip-on" function, meaning that you do not need to dismount your daytime scope and re-zero it. Clip on thermal rifle scopes mount in front of any daytime scopes. 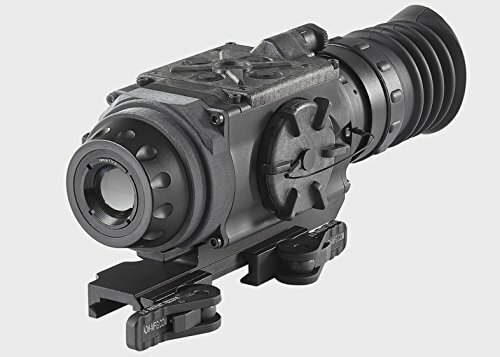 If you are interested in one of these, look into Armashight Apollo thermal imaging clip on systems.They offer high-quality thermal rifle scopes with FLIR sensors and several lenses to choose from. Thermal rifle scopes are expensive and you should pay attention to the warranty length. Having a long warranty ensures that your investment will be covered in case of manufacturing defect. ATN warranty runs 3 years, while FLIR and Armashight give 3-year warranty on scope and 10 years on the thermal sensor. One of FLIR's strengths has always been their long warranty length. Also, think about purchasing an extended protection plan if available many retailers such as Amazon offer these plans and they can make sense. Be sure to read the fine print and know what they will and will not cover to ensure it is a worthwhile additional purchase. As you can see there are many different types of thermal rifle scopes at many different price points to satisfy pretty much anyone's budget and required feature set. What Will You Be Using Your Thermal Rifle Scope For? If you are still not sure or just want to see how many different types of thermal rifle scopes there are you can find a large selection at great prices on Amazon.